This is a continuation of the impulse response subwoofer thread. 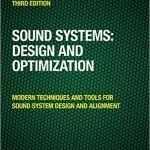 Here are some screens from Sounds Systems: Optimaztion and Design that deal with phase alignment of crossovers. The figure above shows the phase responses brought together between sub and main. 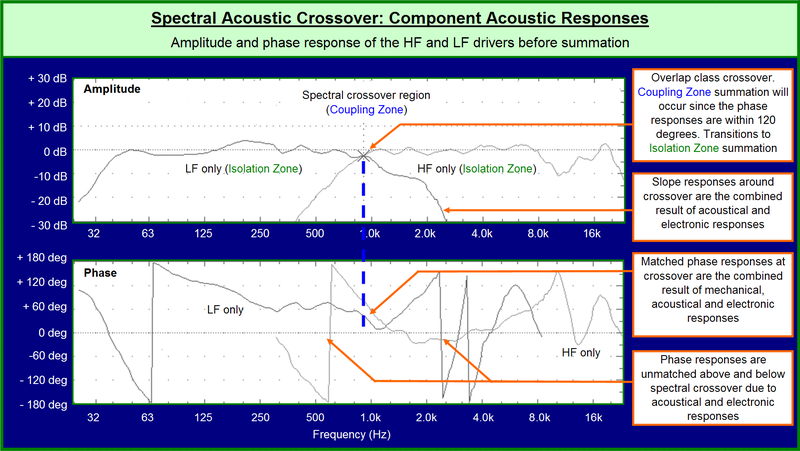 The crossover is not steep and therefore the phase response overlap over a wide range. Why does the phase response show positive traces at certain times vs negative traces at others? Is there a true discrepancy between -60 degrees of phase shift vs +60 degrees of phase shift? I don’t know if I am seeing the difference if any, but I am having a difficult time understanding how the averages from the FFT account for this result. The phase response is a circular function. We set a start time on the circle – and call it 0 degrees. When it comes back around again to 0 we have completed a cycle. Because it is circular you could start the counting anywhere. When se measure a speaker we cannot place the mic close enough to be a the true O degrees point – the mic would crash into the speaker. Therefore we need to set a delay time in the analyzer to start our clock in time with the arrival from the speaker. 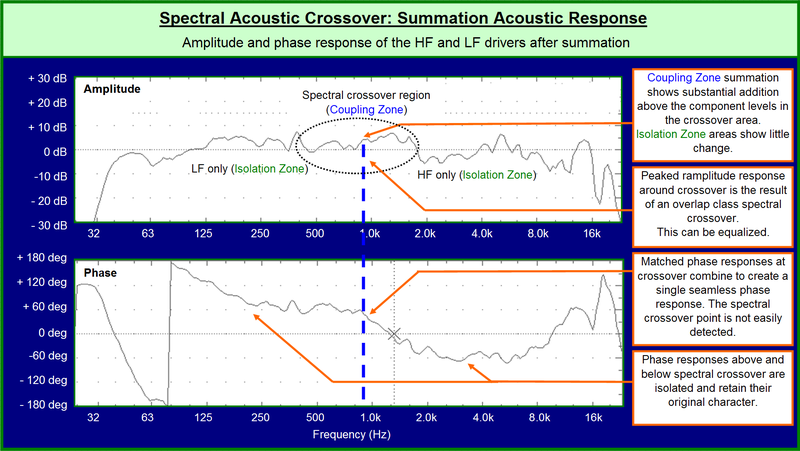 Since the speaker is not perfect in its phase response we see different values at different freqs. There is a diff between -60 and + 60 degrees – the same as there is a difference between 10 o’clock and 2 o’clock. Although they are both two hours away for noon, they are 4 hours away from each other. That helps, thank you. 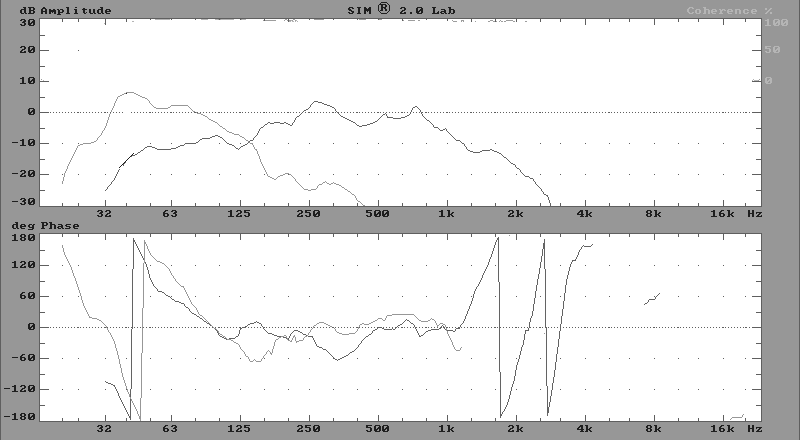 I just noticed that boosting frequencies on say a graphic eq causes positive phase shift, while cutting frequencies yield a negative phase response each and every time?